It's always nice to be at the end of the week and have a weekend to look forward to. Hopefully, you all have a great one planned. Since it's Friday, it is time for another YNS Friday challenge. 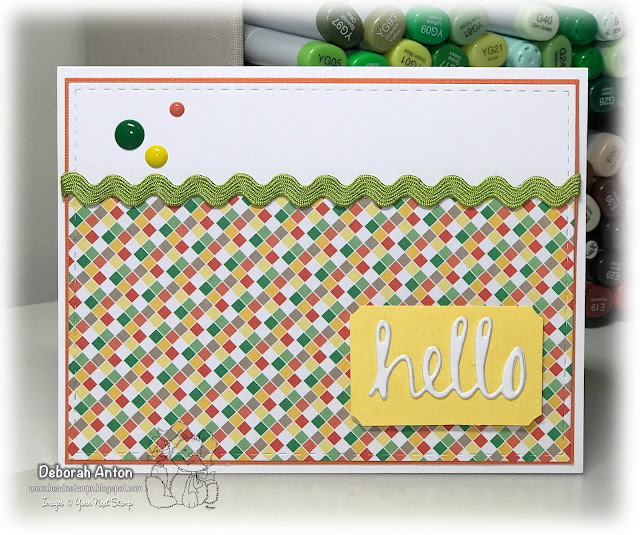 Of course I took the sketch to create this CAS card using just patterned paper and dies. Be sure to stop by the YNS Blog to see more of what the DT members have created with either the sketch or color challenge. We hope you play along in the challenge and link your creation on the YNS Challenge blog for your chance to win! Thanks for stopping by and hope you have a great weekend!